After a career at IBM, international jet-setter Chris Brennan briefly retired before deciding to pioneer the making of sourdough and other breads in his idyllic countryside bakery in Orford, Suffolk. Chris decided to delve into crafting award-winning chocolate, along with his daughter Joanna, in their eponymous bakery situated on Pump Street. 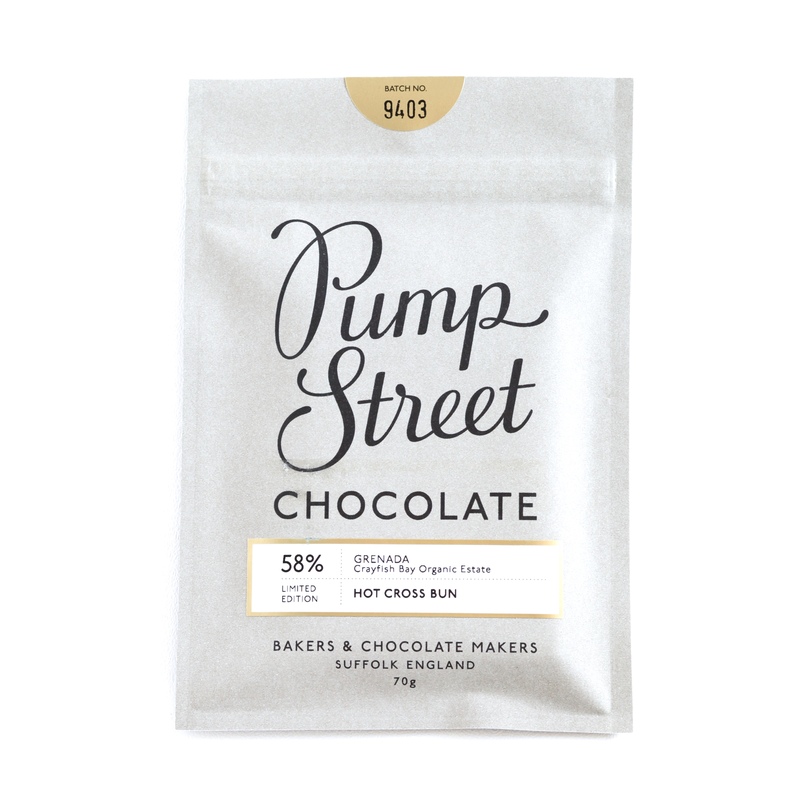 Pump Street Chocolate are well known for their bread and pastry inclusion bars, and the latest to enter their collection just in time for Easter is a seasonal Hot Cross Bun bar. 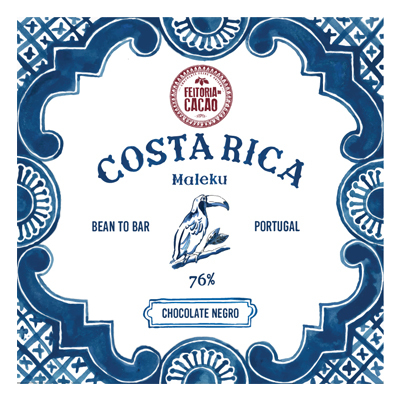 We’re delighted to have secured a limited run of this bar. 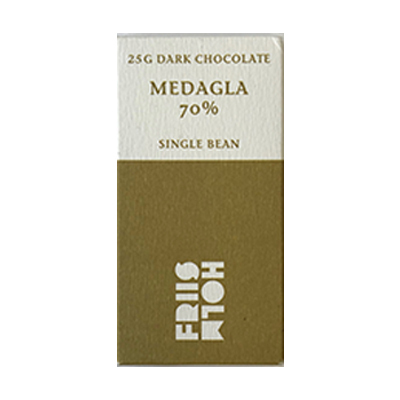 This dark chocolate with sweet Hot Cross Bun inclusions is aromatic and utterly delightful. 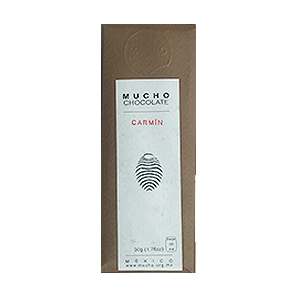 The warming spices of nutmeg, cloves, cinnamon , allspice, coriander and mace match so beautifully with the subtly spiced Grenadian cacao. The chewy currants adds for an authentic texture. Made in a bakery that also handles dairy, gluten and nuts.